Growing up Pokemon has been a franchise that has meant a whole lot to me, the very idea of doing things in the game that in my real life I could never do and this is not because of the Pokemon isn’t real factor this is simply me. These games have taken me on many journeys across many regions and I have come back with many stories to tell, be it the story of my journey or the tale of a hard fought battle and barely coming out on top. But this is something that any Pokémon fan can agree with, these games tell a story and while some of the later games are clearer the older ones were more about us and the story we told, the battles we fought, the teams we raised. All these memories from these games don’t fade and we remember all the good times we had, and these journeys were each great. Of course we all have those adventures that we preferred, be it you liked Black and White over Emerald, or Crystal over Leafgreen. These are all our choices and how the journey, the world, the adventure, and even the Pokemon connected with us. So this leads me to talk about my personal top five Pokemon games in the main series and this is more in the spirit of the franchises twentieth anniversary. For this list I have made no rules so I can choose remakes over the originals if I so choose, and so here we go. 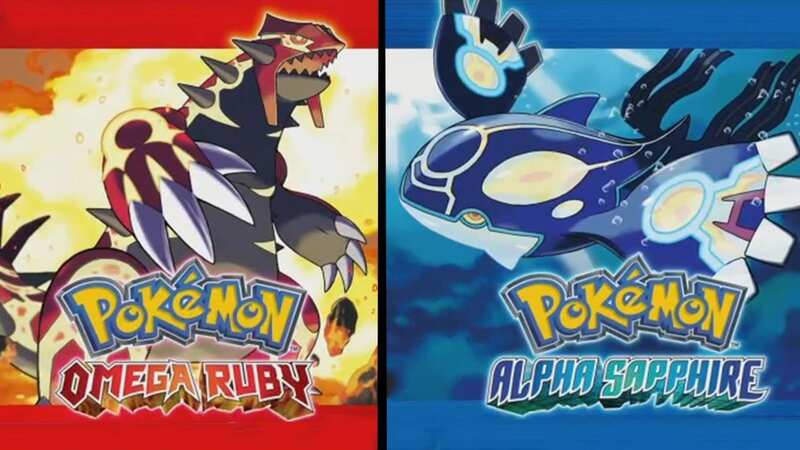 For long time Pokémon fans our first entrance into the series was with Red and Blue the games that started it all. Without these two where we be now perhaps the franchise would have fizzled into irrelevancy and by extension we would not have the rest games on the list or the original games remakes. I know right now you would likely be thinking why not just talk about Red and Blue, and why would I consider the remakes above them? The answer is really simple but also in two parts, the first part is that I was only five when Pokemon came out and I didn’t play the games until I was almost seven so while I did play the original games and I remember my adventures with my beloved Nidorina for me the remakes standout as I honestly remember these ones better. In the case of my second answer, I must note when I look back at what I remember of Red and Blue the games were deeply flawed, some of the systems were broken and uneven, Moltres was in a stupid place and after finishing the game there was nothing apart from Mewtwo and battling with my sister. Enter Firered and Leafgreen for the Gameboy Advance these games remade the original with a lot of love and care, but also fixed the known issues and created a better and more cohesive experience. Going through this game was basically a trip back to my younger years and going through the world I remembered, I could grab my Bulbasaur and we could go on an adventure and one that worked because of all the improvements made in Ruby and Sapphire. One of the other notable things in this game was the VS. Seeker, this item would go on to be a major part of Diamond, Pearl and Platinum and it made it easier to train your Pokemon. But I also can’t forget the islands, the trip through nostalgia was great but late in the game when I was afforded the opportunity to go somewhere new I was excited. I got to explore some new locations and get wrapped up in a story surrounding these islands, and they also moved Moltres here which was not so stupid. Then there was the post-game, with this we got to explore even more islands and this gave us a chance to further explore Team Rocket’s downfall as well as the stories of the additional islands. 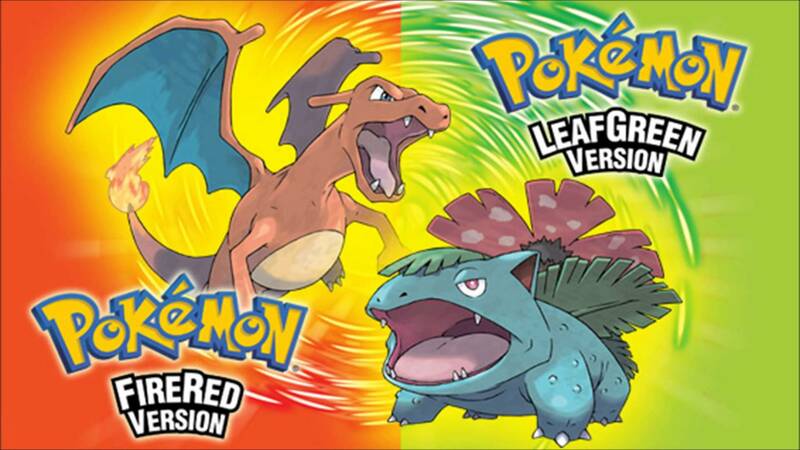 I loved Firered and Leafgreen, even if these games were not the best series had to offer (not by a longshot) these games were still fun and I loved venturing back through the world and seeing the games in their proper form. For years I held Ruby and Sapphire in high regard, after playing the original Gameboy Advance games I fell in love with the Hoen region and its story. This however was in a time where I was truly Pokemon obsessed, had more time on my hands and honestly was blinded to the games issues, so enter 2014 and Pokemon Omega Ruby and Alpha Sapphire, in this remake the issues of the original were fixed and the Hoen region looked better than ever. Besides all that more new features were added that showed the potential for Pokemon’s future including being able to fly above the Hoen region, this was a novel and pointless feature but was undeniably brilliant and equally breathtaking. Along with all this Game Freak added to the post game to deliver a truly thought provoking story add on that looked at the Hoen region facing ultimate destruction, this acted as a great way to shoehorn in another legendary Pokemon but also do something new and tackle some difficult subject matter. Along with all I have said above the gameplay was all around better, and even something as simple as towns were almost properly defined and no longer were boring. Omega Ruby and Alpha Sapphire ultimately show just how great a remake can be and the true potential of one that is well built, this game may not be my favourite in the series but it does hold a special place and I will always treasure Hoen. 2013’s Pokemon X and Y did a lot right while also doing quite a bit wrong, sometimes though we need to accept the good things and in turn I can honestly say that Pokemon X and Y is a true Pokemon highlight. 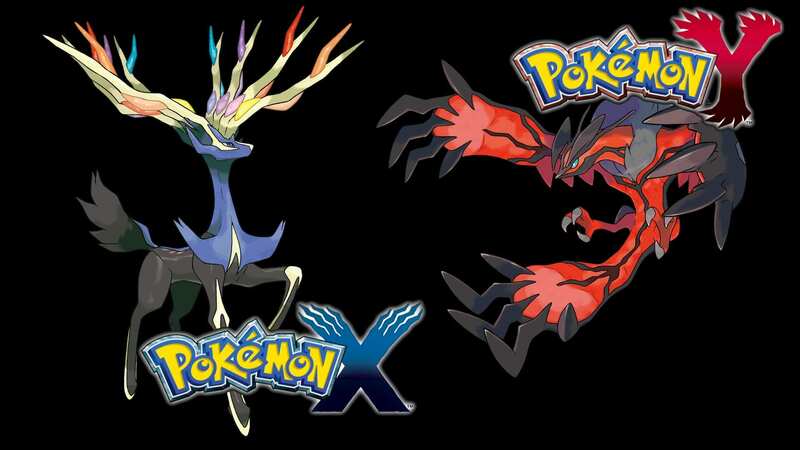 One of the notable things that I really must mention with X and Y is the games visuals, after five generations of Pokemon games spanning the Gameboy to the Nintendo DS Game Freak finally presented us with a more three dimensional Pokemon game. Gone were the 2D sprites of the past and instead every Pokemon was presented with a glorious 3D model, and beyond this towns had room to truly shine and even be visually impressive. I love Black and White’s Castelia City but Lumiouse just takes the cake in terms of presentation and showing how expansive a city can be in Pokemon, particularly when this reminds me of the anime which I loved. Though it was not just the visuals that places this game on my list but rather the story and the world itself. Kalos was just incredible and was a truly great region especially in its many environmental differentiations, I loved the towns, the musical scores and simply everything that was Kalos. In terms of the story I loved the bond we formed with our companions, each had their own personality and thoughts and they constantly appeared as if they were with me all along. Besides this the story in the game in regards to AZ and his tragic history was really interesting and really allowed us to explore the deeper history behind the region, unlike Kanto. Overall Pokemon X and Y are amazing games and are just so enjoyable however they only hit third on my list because other games do some things better or I like them more. Around the time of Pokemon Black and Whites release we were hitting an insane amount of Pokemon that is still climbing today and there were fans saying that Game Freak needed to reboot the series. So what better to do with Black and White then give a feeling that was reminiscent of the original Red and Blue, instead of simply piling on a whole line up of brand new Pokemon onto old ones Game Freak cleverly chose to reissue nostalgia. 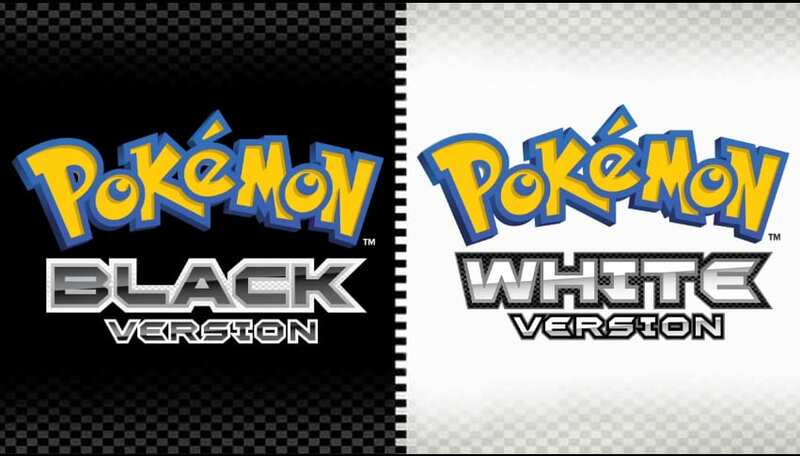 In Black and White we entered a whole new region but much like when we first played the games there was no Pokemon we actually knew, Black and White offered the closest thing to a reboot without actually rebooting the franchise. Some of the Pokemon may have been average but we entered Unova with fresh eyes meeting new friends and not falling back into old trends. This style for the game was good enough for me on its own but Black and White did something else that honestly made this game one of the franchises highlights. For the first time the game had a truly deep story, sure Ruby and Sapphire had a start to this but Black and White truly mastered it. Beyond the usual Pokemon routine Game Freak offered us a new perspective on the Pokemon franchise tackling difficult subject matter and really forcing you to think, this might have been just a game but the message about morality and whether Pokemon capturing was right or wrong was truly deep and memorable. This message was further capitalized by the games antagonists who carried this message throughout the game and constantly forced you to question your beliefs as they set out to get trainers to release their Pokemon. Team Plasma were truly interesting antagonists who blurred the lines between whether they were truly evil or if they were actually doing the right thing which was an enjoyable change. Similar to X and Y I also loved the companions in the game, and one of the things I particularly loved was the story that both of my companions had to themselves. One had dreams of becoming the champion and rising to become the best, the other simply trying to find here place in the world and discover what she wants to do a goal we can all admire and respect. There is so many reasons why Black and White make the number two spot on this list, but all that matters in the long run is that the decisions made in terms of story and some of the gameplay which made this game shine. When I reflect upon the Pokemon series one game commonly comes to mind as one of my most respected experiences, and this game is Pokemon Crystal. I remember getting this game for my birthday one year and being impressed by the very design, the Pokemon, the region and even some of the changes made that my young mind could actually understand. 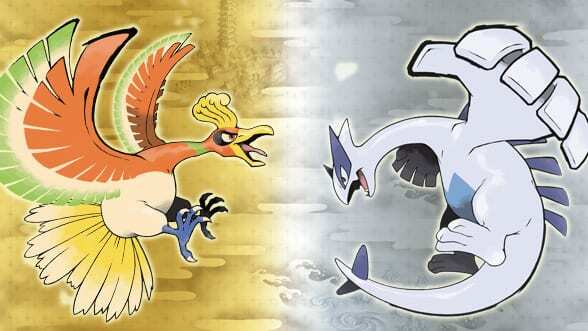 As much as I respect Crystal I still must think about the games that improved upon this yet again and in this case it was Heartgold and Soulsilver, for all the respect I have for the classic Johto region these remakes expanded upon the game and again fixed evolved Johto. Gold, Silver and Crystal were great and I was honestly tempted to place them in this spot on the list instead of the remakes but all things considered this is honestly one of the Pokemon franchises true game highlights. Johto was always great and there was so much improved in this release, but it was the little changes that made Heartgold and Soulsilver an experience to remember. In this game we got to see the return of the Safari Zone one of the series best locations, and as an evolution we got to give it the personal touch by mixing the type of ground and items that would be found within. Along with this we got to see the return of a feature that had been absent since Yellow by getting to have Pokemon follow us which was pointless but was cool no matter what. Without going into an annoying amount of detail I cannot fully express everything that makes these games so great in my books but either way Heartgold and Soulsilver are undoubtedly the best games in the franchise, at least until Sun and Moon attempts to sway my choices.